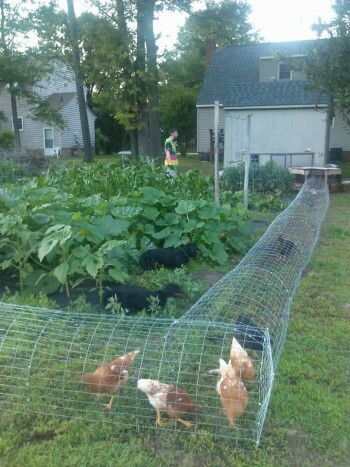 Some time ago we at the typesofchicken.com team gave you an article about how to keep your garden chicken proof, and some of our readers gave a really nice feedback. 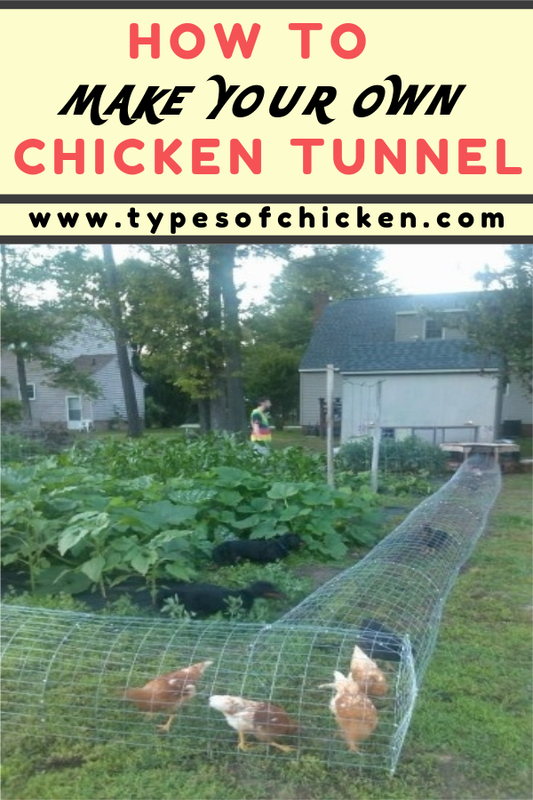 Along with the feedback came a few ideas that we truly found amazing, and one of those ideas was how to make your own chicken tunnel.After reading and somewhat understanding this idea, we at the typesofchicken.com team decided to share it with the rest of our readers. 1. Why you should build your own chicken tunnel? We have previously discussed the correlation between your garden and your chickens, well this tunnel kind off helps you to make it even greater. This tunnel will help you move your chickens exactly where you want them to peck. Organizing where your chickens’ dig and peck can save you a lot of time and trouble when you are preparing to plant seeds in your garden. Chickens can dig and peck through any soil and by doing that they will remove all the bugs and grass that are on that soil which will prepare the soil for planting seeds without any special trouble from you. Now that you know this imagine that you can lead your chickens where to dig and peck – this is what this chicken tunnel will do for you. 2. How to build your own chicken tunnel? Building this contraption should not take you more than 1 or 2 hours. Get the hard wire and bend it so it will make more than half a circle, make sure that when you put it next to the chicken coop door it is bigger than the door. Connect the wooden boards all the way through the side of the hard wire that is not round (connect it with both the ends of the hard wire). One end of the tunnel should stay open, and the other end will be closed to prevent the chickens from running away. You can close it by bending the hard wire and connecting it to the end of the wooden boards so the chickens will not be able to force it open. Also, it is important for you to make the tunnel in more pieces so you can connect it in that way that your chickens can peck in any part of your garden (the one you want to plant in first or the one that has the most grass). In other words, make sure that your tunnel is movable as much as you need it to be. 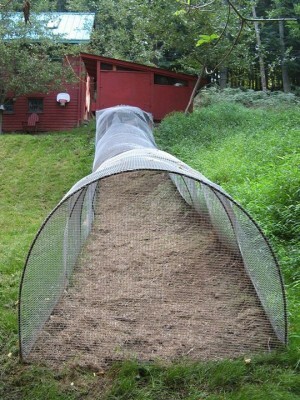 Connect the opened end with the door of your chicken coop and voila – you have your own chicken tunnel. It may take them a week but we at the typesofchicken.com team are sure that your chickens will be able to prepare your soil for the up-and-coming plants. Previous Article How to Make Your own Movable Chicken BROODER – DIY Project! Next Article How to Make Your Own Automatic Chicken Feeder – 6 Easy Steps!!! I have been using portable chicken tractors for years. The first one is very heavy, it could hold about 6 -8 chickens. Last year, I built a smaller and much lighter version. Much like your tunnel!! It is domed and closed on the ends. My chickens ‘plow’ up the garden very well. Thank you for sharing the plans. It is easier than I thought.